August 12, 2013: New page with papers, talks and presentations, anyone can access all the HPCLatAm2013 data! May 14, 2013: Deadline extended! New paper submission deadline (Strong): June 2, 2013 . May 08, 2013: Deadline extended. New paper submission deadline: may 20, 2013. Feb. 25, 2013: Call for papers is open. 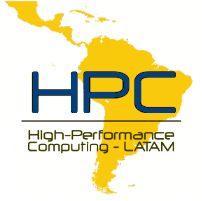 The use and development of High Performance Computing in Latin America is steadily growing. New challenges come from the capabilities provided by clusters, grids, and distributed systems for HPC, promoting research and innovation in this area. Building on the great success of the previous five editions, this year the Latin American Symposium on High Performance Computing will include three major events: the Second High Performance Computing School-ECAR 2013 (Mendoza, from July 22 to July 30), the VI HPCLatAm2013 International Symposium itself (Mendoza, July 29-30), and the HPC Day within the 42nd Argentine Conference of Informatics-JAIIO (Córdoba, September 18). Authors of the best papers submitted to the workshop will be invited to submit their extended versions to a special issue in The Computer Journal (JCR/ISI, Q2, Impact Factor: 0.785, 5-Yr Impact Factor: 0.943). Short- and full-length papers must be written in English according to Springer LNCS style (guidelines available at: http://www.springer.de/comp/lncs/authors.html). Papers must not have been previously published or submitted elsewhere. Submissions will be handled electronically using Easy chair system, please follow the link to submit. The authors of accepted papers must guarantee that their paper will be presented at the symposium. At least one author of each accepted paper must be duly registered for the symposium in order for the paper to be scheduled in the papers session and to appear in the VI HPCLatAm2013 proceedings. Full papers must not exceed 12 pages, including name, affiliation and address of the author(s), figures, tables, references, and an abstract of no more than 200 words. All full paper submissions will be carefully reviewed by at least two experts and returned to the author(s) with comments to ensure the high quality of accepted papers. Full papers accepted for the program will appear in the VI HPCLatAm2013 proceedings. Authors are invited to submit short papers describing on-going work or ideas to be further discussed during the conference. Short papers must not exceed 4 pages. Short papers accepted for the program will appear in the proceedings (not expanded to full papers, and with Short Paper in the title) and be orally presented during the Symposium (in suitably shorter speaking slots) as a regular part of the program. General: $550 (Argentinian Pesos) or U$S 100. Professors and education staff: $300 (Argentinian Pesos) or U$S 60. SADIO members: $250 (Argentinian Pesos) or U$S 50. SADIO non-members students: $150 (Argentinian Pesos). SADIO members students: $100 (Argentinian Pesos). The student discount is only for undergraduate students. Cash: ICB-ECT, Padre Jorge Contreras 1300 - Mendoza - Argentina. Bank Transfer (only for residents in Argentina). Titular: Fundación Universidad Nacional de Cuyo, Banco Patagonia, Sucursal 060, Cuenta Corriente en $ (pesos) Nro 60-600021753-0, CUIT 30-63044155-9, CBU 0340060900600021753006. Please, indicate in the transfer as payment reason "HPCLatAm".